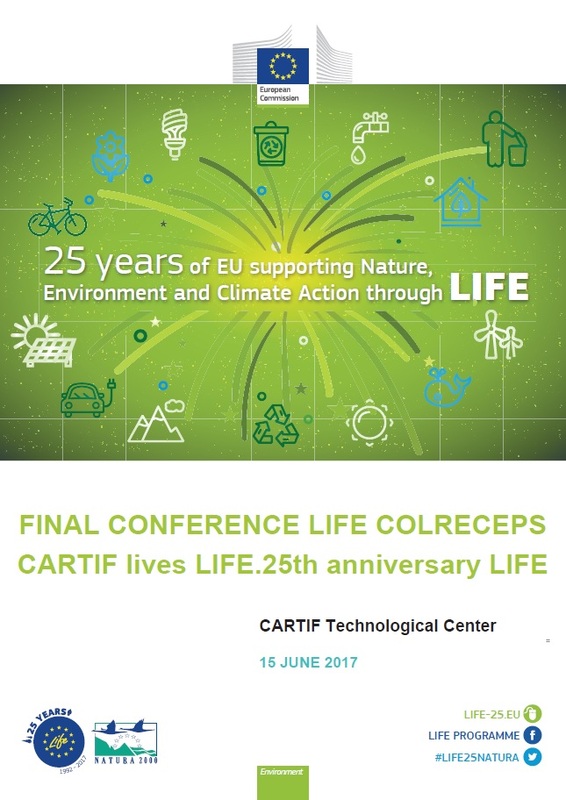 On June 15th, the final conference of the LIFE COLRECEPS project (LIFE12 ENV / ES / 000754) will be celebrated in CARTIF, in which experiences will be shared and the results obtained during almost 4 years will be shown. Its main objective has been the construction of a pilot plant to recycle expanded polystyrene waste (EPS) and obtain new EPS pearls, with which new packaging boxes are manufactured. Therefore, a solution has been given to the dumping of a non-biodegradable waste, closing its life cycle and giving an added value to this waste.This final conference is part of the event ‘CARTIF lives LIFE. Celebrating the 25th anniversary LIFE Program’ on the occasion of the celebration of the 25th Anniversary of the LIFE Program. In this event, CARTIF’s LIFE team will present their experience in LIFE Program and review the 20 LIFE Projects which they have achieved and developed. Besides, the news of the call 2017 presented by MAPAMA on 04/05/2017 in Madrid (Infoday LIFE Program 2014-2020: LIFE Call 2017) will be explained. In the last part of the event, an exchange of experiences sessions in networking and replicability will be carried out with the participation of some of LIFE projects of CARTIF (LIFE COLRECEPS, LIFE DIOXDETECTOR, LIFE LEACHLESS, LIFE PAVETHEWAYSTE, LIFE EQUINOX, LIFE BATTLE CO2, LIFE HUELLAS) and the participation of all the attendees. To register for the conference, please click here. Participation is free but capacity is limited.